ChicagoFireMap.net -- usually with more detailed reports -- feeds to all three of the following Facebook pages. Page with Chicagoland emergencies only (Page 99% of the time ONLY post articles that have appeared on ChicagoFireMap.net and FireMapChicago.net). 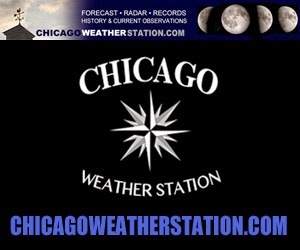 Page with Chicagoland emergencies only, including some shares of major media reports of Chicagoland news, and map oriented posts. Page with Chicagoland emergencies; major emergencies at the national and worldwide level; Fire/Rescue/EMS and police topics; and Fire/Rescue/EMS and police videos of interest. ChicagoFireMap.net follows up on FIRE-RESCUE-EMS incidents throughout Chicagoland -- providing concise details and a map link. Incident reporting on all websites and social media accounts is often based on breaking information which may contain inaccuracies, with no guarantee of 100% corrections. *Post Date/Times that are not posted in real time will be updated to the estimated real Date/Time during follow up maintenance of FireMapChicago.net.